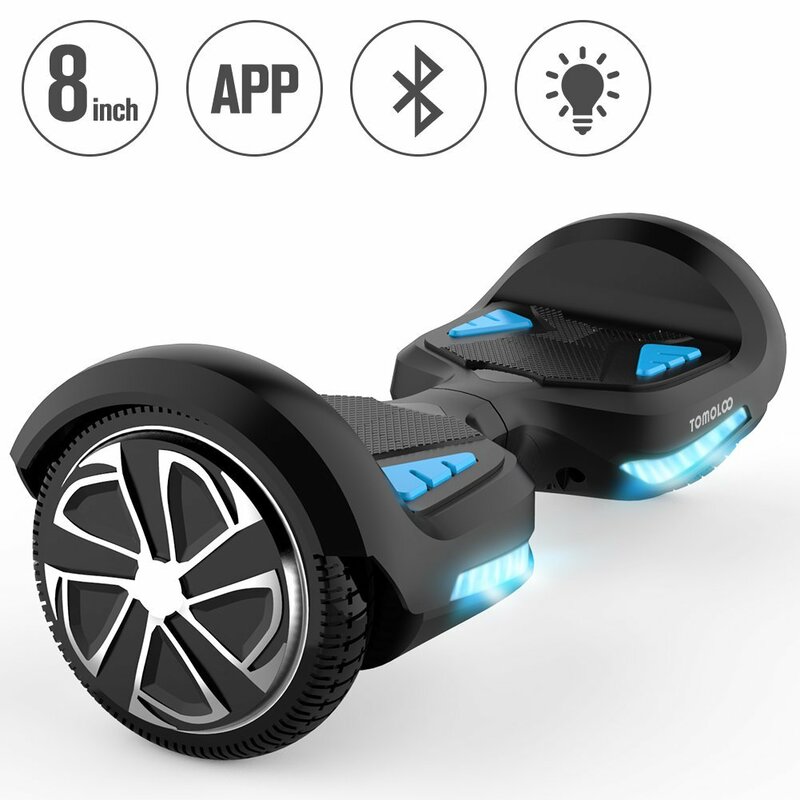 Hey, hey, hey, Tomoloo Technology Industrial Co. Ltd brings to us one more extraordinary hoverboard. After K1 X-MEN presented in our review few months ago, this time we are presenting to you super special Tomoloo K3 Galaxy Chariot. So far we are already used to intriguing names and imaginative design from Tomoloo. Why Galaxy Chariot? Because its’ design is inspired by a movie Starship Troopers thus connecting Sci-Fi and reality in this great looking hoverboard. Tomoloo K3 Galaxy Chariot is a new generation hoverboard, UL2272 certified, made of high quality materials shaped in superb and imaginative design giving the avant-garde and fashionable look unique to Tomoloo hoverboards. What is so exciting about this hoverboard? Well, first of all it comes with omnidirectional LED headlights with RGB LED design allowing the rider to adjust the color of LED lights through personal Tomoloo App to suit his personality and enabling better visibility during the night. Other features of Tomoloo K3 you can find in the review below. Besides omnidirectional adjustable RGB LED headlights and personal Tomoloo App this hoverboard has some more interesting features. One of them is waterproof cap for power jack keeping it safe from water during the ride. It is very useful and practical because it ensures that your power station is always dry and safe. By the way, through the App you can control on/off switch, steering sensitivity, front and rear angles, maximum speed limit, battery status, riding mode, music and finally already mentioned color, brightness and effect of integrated LED lights. Also, Tomoloo K3 Galaxy Chariot uses Samsung Battery Core batteries which are UL2271 certified and placed inside fire retardant shell thus giving extra security for the rider. Smart Battery Management System is in its brightest edition with over current, over heating, short circuit, overcharge and excessive discharge protection. Not just that the battery shell is fire retardant but the whole outer shell of Tomoloo K3 hoverboard is made of fire retardant materials giving the extra edge in security issues. Built-in Bluetooth speakers are using Bluetooth 4.0 technology providing Stereo surround sound. Welcome to the future with Tomoloo K3 Galaxy Chariot.